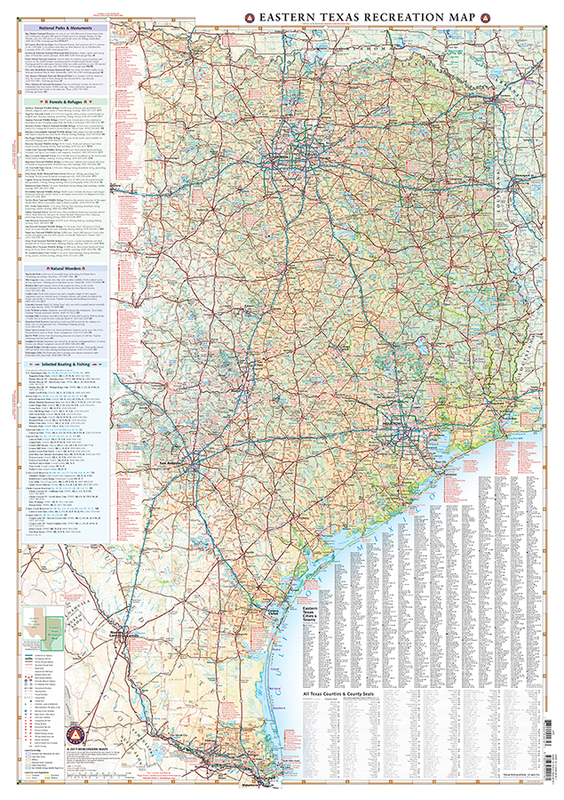 One of two new releases, the Eastern Texas Recreation Map is the first map product to show the real richness of recreation potential in The Lone Star State. 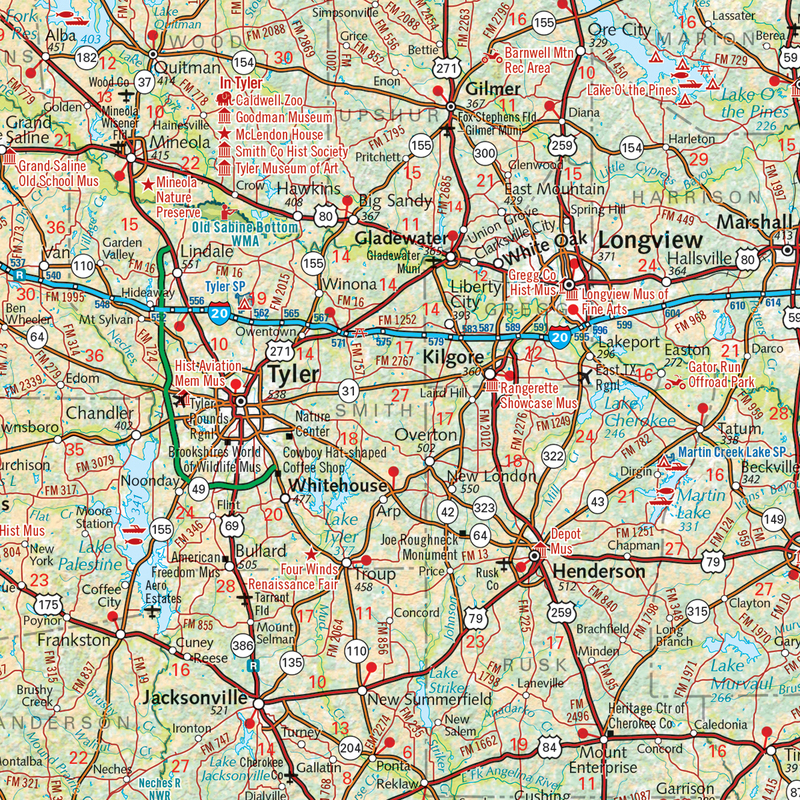 One side provides an Eastern Texas map that features land cover (forest, grassland, cropland, & wetland), extensive highway detail, point-to-point mileages, recreation sites, Roadside America attractions, campgrounds, parks & wildlife areas, boating & fishing access points, and public hunting areas. The reverse side features categorized recreation listings with helpful descriptions, current contact information, and map grid references. 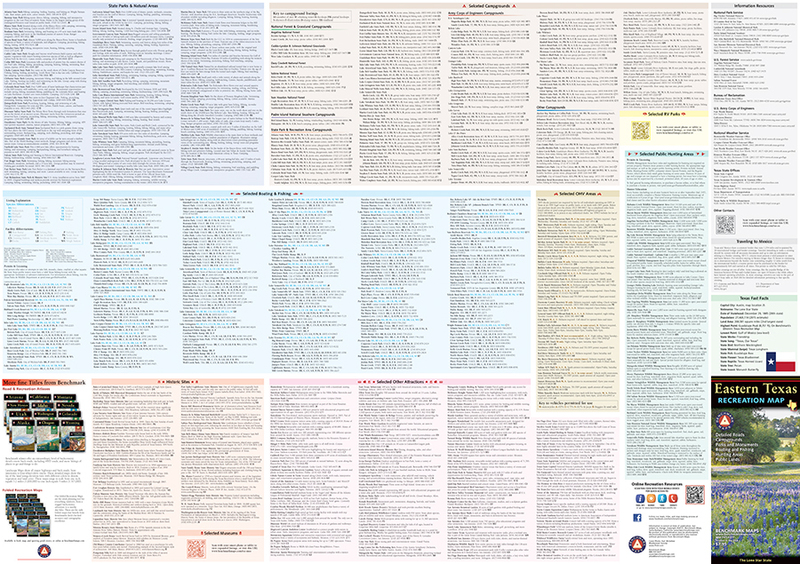 ISBN: 9780783499161 Cover:4.25" x 9" Sheet: 38.25" x 27"